Koei Tecmo is bringing its tactics RPG, Dynasty Warriors: Eiketsuden, to North America and Europe for PlayStation 4 and PlayStation Vita as Dynasty Warriors: Godseekers. It will launch digitally only across both platforms on 31 January in North America and 1 February in Europe. Dynasty Warriors: Godseekers takes place during the chaotic end days of the Han dynasty, when ancient China was overwhelmed by uprisings and internal strife within its imperial court. This is the story of Zhao Yun and his allies as they travel through the maelstrom of the Three Kingdoms-era China, meeting countless great heroes and growing into heroes themselves. They unwittingly liberate a young girl, Lixia, from a strange prison. The two friends and the mysterious Lixia then find themselves entangled in a pivotal struggle for the salvation of the world. In their efforts to unravel the mystery behind Lixia’s imprisonment, Zhao Yun and Lei Bin uncover a hidden, terrible fate, forcing them to make difficult decisions in a battle that will echo throughout history. Dynasty Warriors: Godseekers utilizes a tactical gameplay system wherein players strategically move their units across a battlefield to defeat opposing forces. Actions take place on a grid, with units moving a select set of spaces before carrying out offensive or defensive manoeuvres. Defeating enemies successfully will enable Synchro Mode, which allows the user to unleash powerful attacks that can decimate an opposing force. 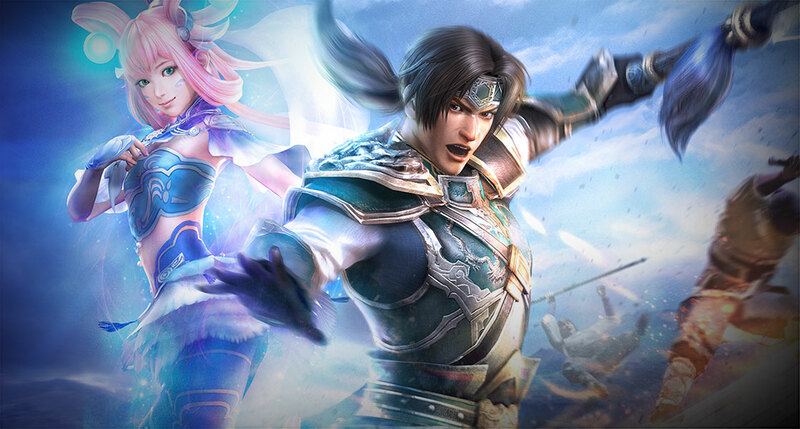 Dynasty Warriors: Godseekers will add two new characters to the series’ roster: the aforementioned Lixia, a girl with magical powers who was sealed away in an icy shrine for centuries, and Lei Bin, Zhao Yun’s childhood friend and dedicated lore master. Lixia has strong powers, once sealed away into orbs, and these are unique objects that can lend an upper hand against tougher opponents. Australian developer, Route 59, has announced its upcoming title Necrobarista during Visual Conference - an online webinar dedicated to visual novels. Necrobarista features stylised anime influenced cinematics as the backdrop to a supernatural story set in Melbourne. Focusing on supernatural events of a café which the living can interact with the dead, the visual novel is set to hit PC and Mac later this year in October. With the project developed in Unity, additional platforms could be considered by developer, so fingers crossed it's a success, so that we can play it on our consoles too. San Francisco-based developer MidBoss describes itself as a "queer-focused production company". The team aims to "create an environment where inclusive characters can be a part of mainstream media and beyond." Will 2064: Read Only Memories, MidBoss' retro-futuristic take on the point-and-click adventure genre, achieve this wider reach? The launch was delayed due to certification problems, but the game is finally now arriving on PlayStation 4 on 17 January. The Vita version had to be postponed to an indefinite date, but MidBoss assured Vita fans that it will persist in their efforts for the portable release. The original Read Only Memories was released for PC in October 2015 and is available on Steam; the updated "deluxe" version will be released there also on the 17th. This is a tale about the dark side of technology. The ROM that the title refers to is the world’s first sapient machine, a ROM (Relationship and Organizational Manager) named Turing. From the developer: "2064: Read Only Memories is a cyberpunk adventure that will take you on a journey of puzzle-solving and exploring as you investigate the mysterious world and characters of Neo-San Francisco." The game features a dynamic narrative defined by player choices; over 10 hours of dialogue and exploration with multiple solutions, paths, and endings; plus an extended epilogue, titled “Endless Christmas”. Has-Been Heroes, from the developers behind the Trine series, Frozenbyte, is coming to the Nintendo Switch; not that you'd know given the complete lack of attention that's been paid to any game for the console that isn't by Nintendo itself. This is a roguelike strategy RPG, which promises to have a lot of humour within its cartoon exterior. It's also being released on PC, PlayStation 4, and Xbox one, so we can all enjoy this one. Here's the trailer for you. To be honest, to us it looks better as a portable game, which would make the Switch version the way to go.